WHY RENT? Your child’s success in band or orchestra depends on having a quality instrument in proper playing condition that is backed by service and exchange options. 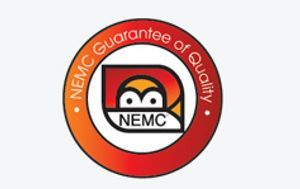 By renting from NEMC and Clock Tower Music, you can be assured that your child’s music instrument is a quality brand, accepted in school music programs nationwide, backed by Service and Warranty coverage, and ready to provide years of reliable service and enjoyment. Clock Tower Music has been providing children and adults with excellent band and orchestra rentals since 1983. For 35 years we have offered one of the best band and orchestral rental programs in the bay area. All of our rentals are rent-to-own with no obligation to purchase. Instruments may be rented for the Initial Rental Period and Initial Rate which is greatly reduced from the Regular Monthly Payment. After the Initial Period, instruments are rented by the month. NOTE: Trumpet and Trombones need to be given a bath about once a month. This is very important to keep your horn playing well. We will give you information on how to do this when you come in to rent. Also, please do not stuff your music books into the case as this can damage the instrument. You have the best of both options~ Rent until you own the instrument or return it any time after the initial rental! The person responsible for the rental instrument needs to bring a major credit card and driver's license with them in order to rent. The rental process can take anywhere between 10 to 20 minutes depending on the time you come in. Please be here at least 1/2 hour before closing time if you plan to rent an instrument. You can also rent online to speed the process. We look forward to seeing you soon!